In the west we have a ‘charity industry’. Multi-million dollar organizations with highly paid executives and enormous marketing budgets collect money during regular fundraising campaigns, and ostensibly use it to bring charity to people as close as in our own city, and as far away as the other side of the world. But charity is more than just about writing a check to an organization with a mission that tugs at your heartstrings. I think we do a disservice to ourselves and to society when we designate certain people and certain organizations to engage in charity work on our behalf. 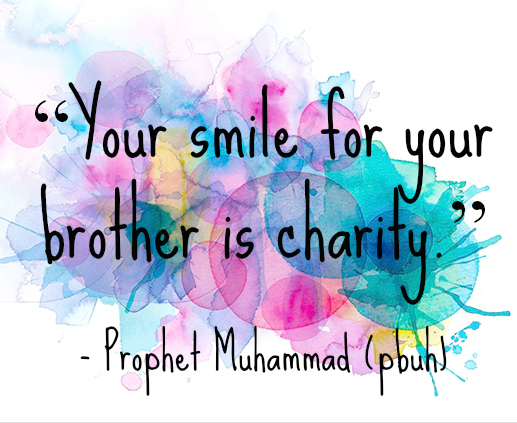 Prophet Muhammad (PBUH) is known to have said, “Your smile for your brother is charity.” That doesn’t mean we’re relieved of the requirement to provide charity financially. After all, Muslims are required to spend 2.5% of our wealth each year, specifically on charity for those whose basic needs are not being met. 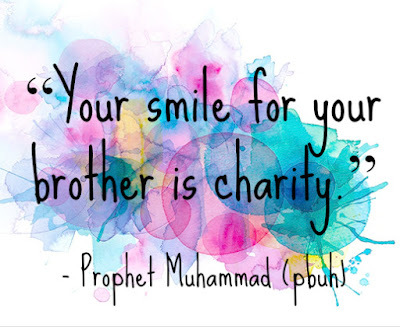 Instead, I think Prophet Muhammad was reinforcing the idea that charity is first and foremost about making a connection with other people, and that without a human connection our efforts are merely transactional, and not transformative. A couple years ago I worked at a Christian non-profit organization called Mobile Loaves & Fishes that serves the homeless in my city. It was founded, ironically, in one of the most expensive zip codes in the entire state. Volunteers from this ritzy neighborhood would gather in groups at their churches, prepare meals and take them out around town into areas where the homeless could be found. The founder of the organization often said to us, “It’s not about the sandwiches.” The real value of the organization actually turned out to be the connection that the volunteers were able to have with the homeless, in places removed from their comfortable homes and neighborhoods. Yes, food was being provided to those who needed it. But in the process, those who were blessed with much had a chance to see how others live without. What they discovered is that these individuals are not so different from themselves. It forced the realization that perhaps, their own fortunes are the result of luck, support, and opportunities that others didn’t get. This, in turn, began to erode the sense of ‘otherness’ that many of them had when they saw the homeless. The volunteers began to view the men and women living on the streets of our city as human, full of possibility and with dreams and aspirations. Eventually an entire system grew out of the original mission of Mobile Loaves & Fishes, providing housing, jobs and spiritual support for these folks; and today the organization is in the process of building a village to permanently house more than 200 chronically homeless people in a holistic community that addresses all of their needs – physical, emotional and spiritual. Without having any contact with the less fortunate, we may simply write a check to ease our conscience and then go about our lives assuming that we’ve done everything we can. But when we serve the less fortunate, speak to them in person and understand that they are victims of a system that we are also part of, it compels us to do more. We begin to ask questions about how their condition is possible in our society, and what else we can—and should—be doing to fix it. By all means, let’s keep donating money. Many charity organizations, especially small local organizations, are working hard to directly provide much-needed services to people who desperately need them. But let’s remember that charity is ultimately about helping and empowering humans. This can’t be done with money alone, nor can it be work that we designate a handful of people in our community to take care of it for us. Each of us must be engaged in helping others on an intimate, human level if we want our world to be better. Much of the work done by Mobile Loaves & Fishes volunteers is as simple as helping the homeless apply for social security, or taking them to doctor’s appointments. The homeless folks we served would often remark about how important the friendships they developed with our volunteers were to them. When you’re down and out, it often feels like no one in the world cares. Having someone show up for you and care for you when the rest of the world has cast you aside can make all the difference. I’ve seen how truly transformative human kindness can be to those who are starved for it. Most charities have plenty of volunteer opportunities, but you needn’t be limited just to formal programs. The founder of Mobile Loaves & Fishes used to go out and hand out sandwiches to the homeless long before he thought about starting an organization. Try this: next time you see a homeless guy on the side of the road, don’t just hand him a some crumpled cash and zoom off. Take a minute, look into his eyes as you hand him a couple dollars, and ask him how his day is going. Tell him to have a great day, and maybe even give him a smile. Now that’s charity. Previous: "She's Just Using You!" 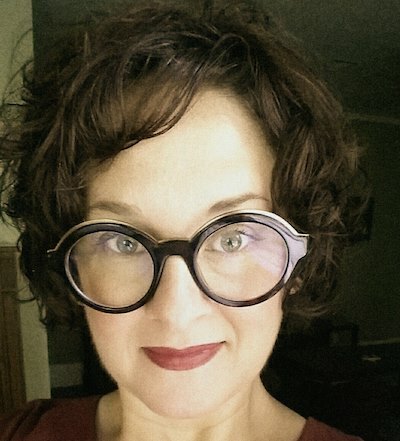 and "The Time We Had Mormons Come Over For Shabbat Dinner"